An experimental drug that researchers say can virtually halt the spread of breast cancer has given fresh hope to sufferers of the disease. Scientists from Cardiff University's European Cancer Stem Cell Research Institute have found that the chemical compound in question suppresses a gene called Bc13, which appears to play a critical role in metastasis. They conducted computer simulations to work out how Bc13 functioned and then blocked it in tests on mice using a compound identified from a "virtual library" of chemicals. The spread of tumours to vital organs such as the liver, brain and lungs is the chief reason why people die from cancer. In the case of breast cancer, as many as 12,000 women in the UK develop a metastatic disease each year - often several years after their initial diagnosis. "Despite great improvements in therapy of early stage breast cancer, the current therapeutic options for patients with late stage metastatic disease are limited," said Dr Richard Clarkson, who was part of the research team. "There is therefore a clear unmet clinical need to identify new drugs to reverse or at least to slow down disease progression." When mice with metastatic breast cancer were treated with the compound, the spread of tumours to the lungs and other parts of the body was dramatically reduced. In some cases, suppressing Bc13 meant the spread of cancer was halted by more than 80%. 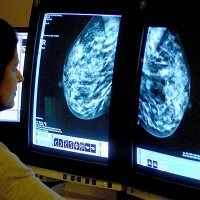 Breast cancer is the most common cancer in the UK. It mostly affects women over the age of 50, although younger women, and in rare cases, men, can also develop the disease. Sufferers holidaying overseas should remember to purchase adequate breast cancer travel insurance before jetting off, just in case something unexpected happens. Following the successful testing on groups of mice, the scientists are now working with a UK-based biotechnology company called Tiziana Pharmaceuticals to further develop the drug and eventually bring it to clinical trials.